Freedom, Vulnerability, and Love: A Journey of Self Discovery. Now available chapters.com/amazon.com etc. or directly from the author. Journey with author Kathy Bazinet as she shares her quest for self-discovery and details how in facing her fears she embraced freedom, found strength in vulnerability, and opened her heart to love. You too will experience the magic of inspiration, the delight of hope, and the raging fire of desire as you rediscover your authentic self. Find out how in this transformative book. This book features the success stories of 40 unique women who have dedicated their lives to giving back. Their inspirational stories take you on a journey of overcoming hardship and obstacles. A close look at the ups, the downs, the determination and the deep desire to give back found on the path to success. 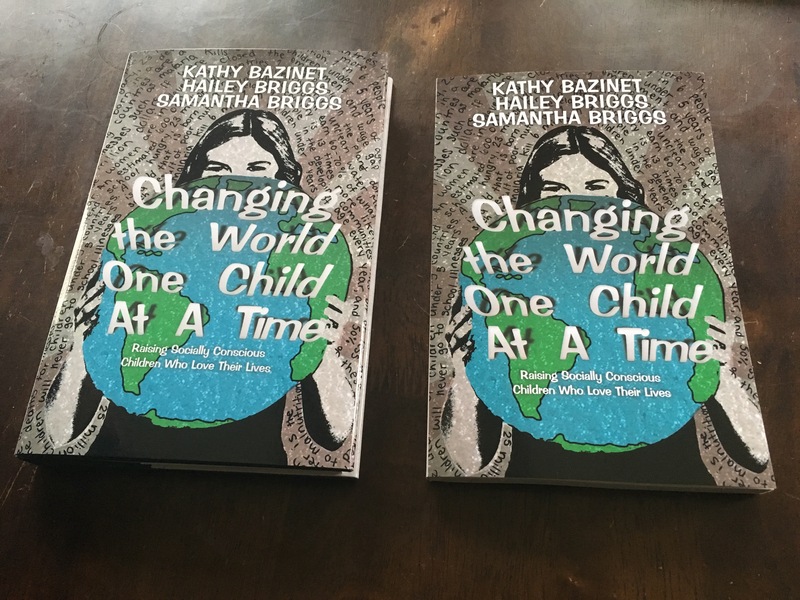 Raising Socially Conscious Children is co-authored with Kathy’s two incredible daughters. At the age of thirteen Hailey came home from camp announcing her goal of raising $8,500 to build a school in Kenya. Haileys love for school, her burning desire to be the change she wished to see in the world and the unwavering support of her mother, motivated her to accomplish this goal within fourteen months. With no rest in between she recruited her sister and two other friends (and an additional six soon after) and in just over two years accomplished the goal of raising over $30,000. In late 2014, Kathy’s oldest daughter, Hailey was awarded the prestigious Governor General Caring Canadian Award presented by Craig Keilburger of Free the Children/Me to We, then received the Governor General’s Sovereign’s Medal for Volunteer in 2017. In addition, Hailey won the Katie Kraus High School scholarship for her Humanitarian work. Kathy’s youngest daughter was award the 150 Canada & Me Youth Ambassador award in the spring of 2017, that included an exchange trip to BC to participated in a conference hosted by David Suzuki. Journey with Kathy and her two children and they share very practical and valuable tools and experiences that sparked and supported the decision to live consciously the philosophy of “being the change”.